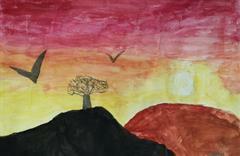 Stunning Sunsets | St Brigid's Boys' N.S. 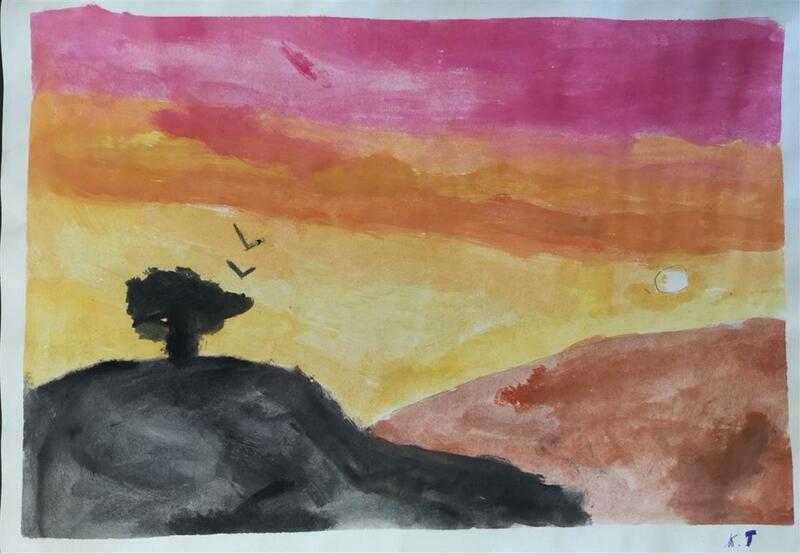 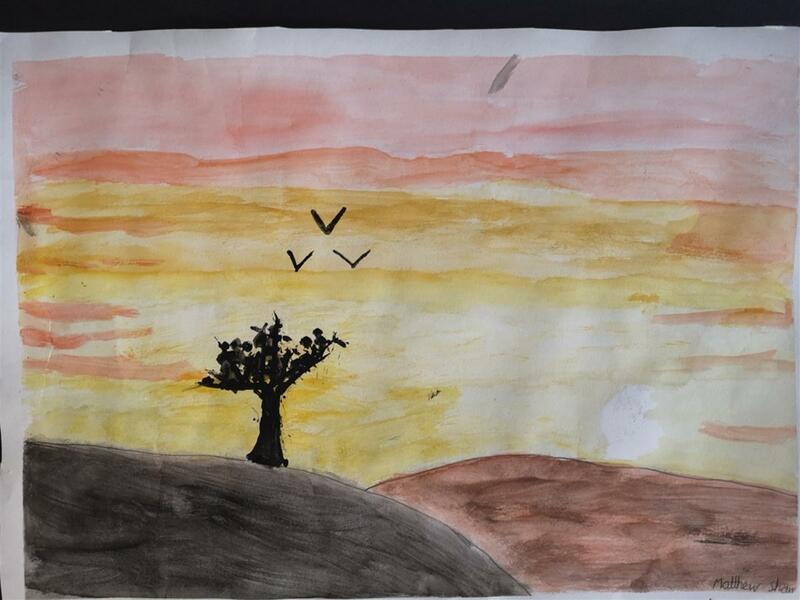 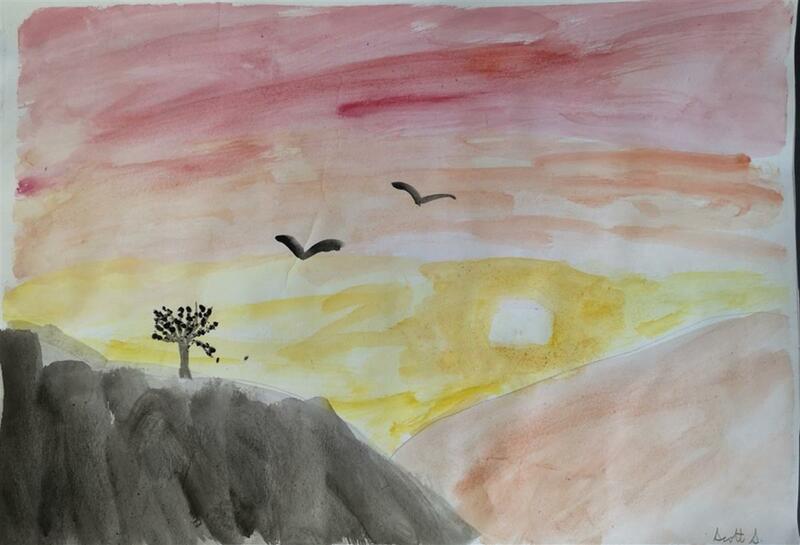 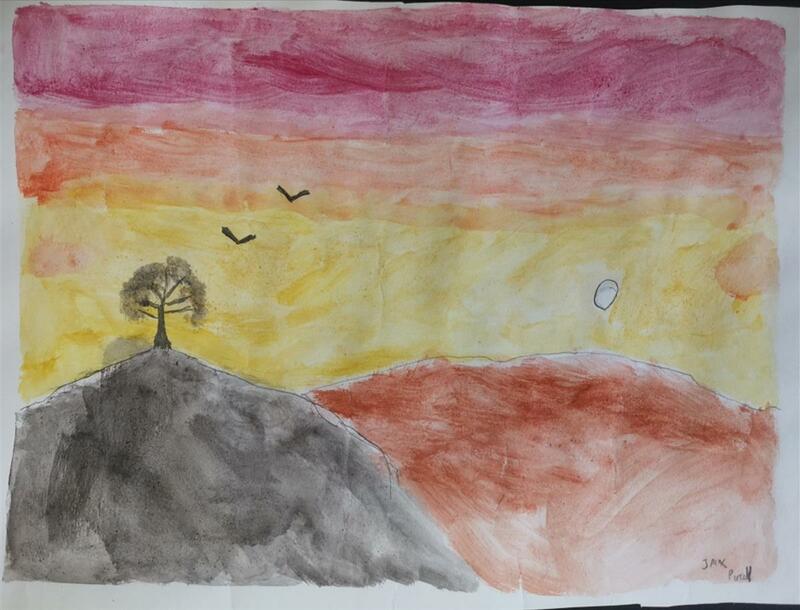 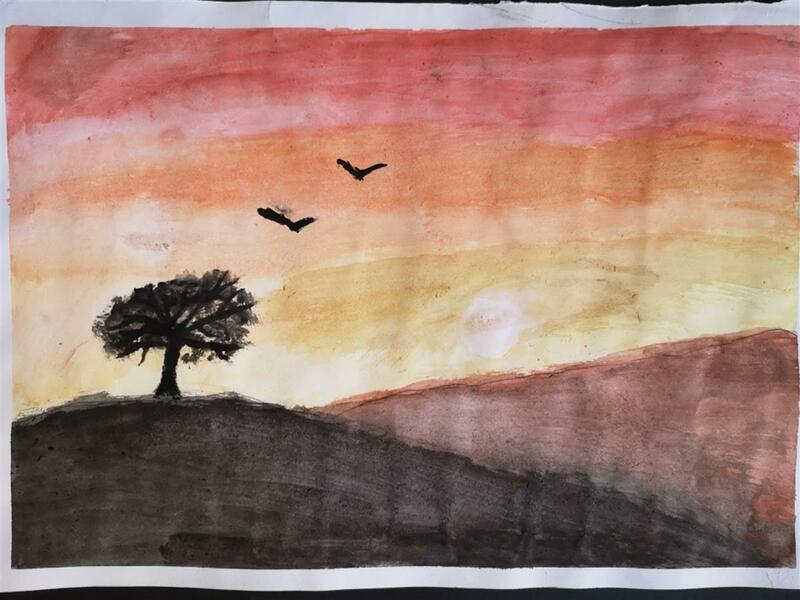 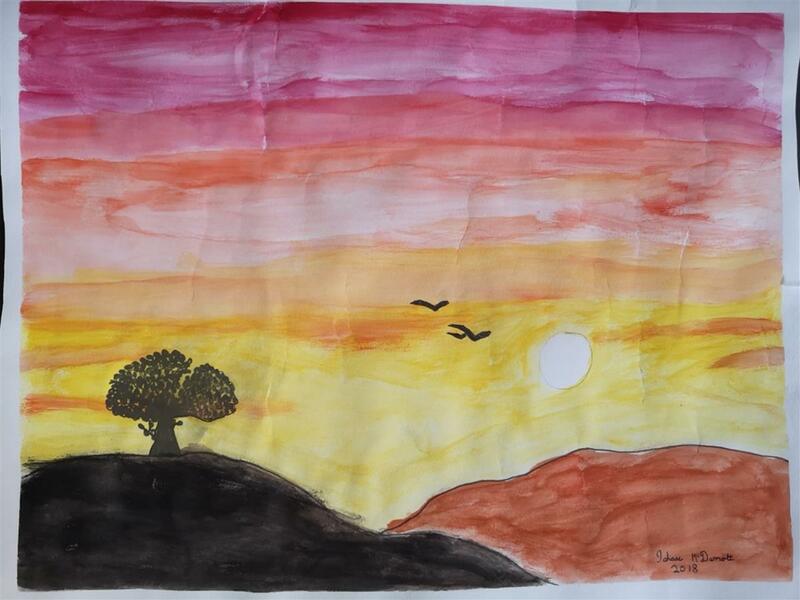 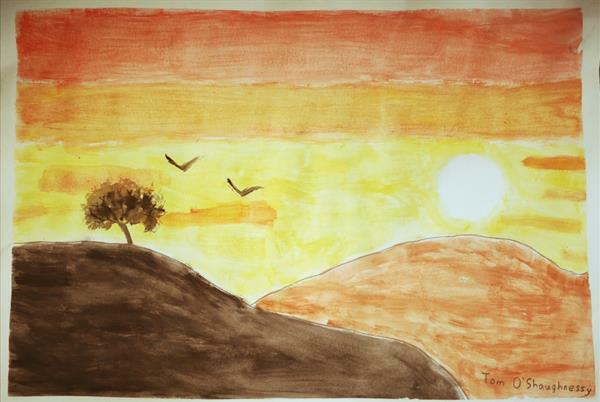 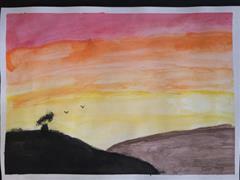 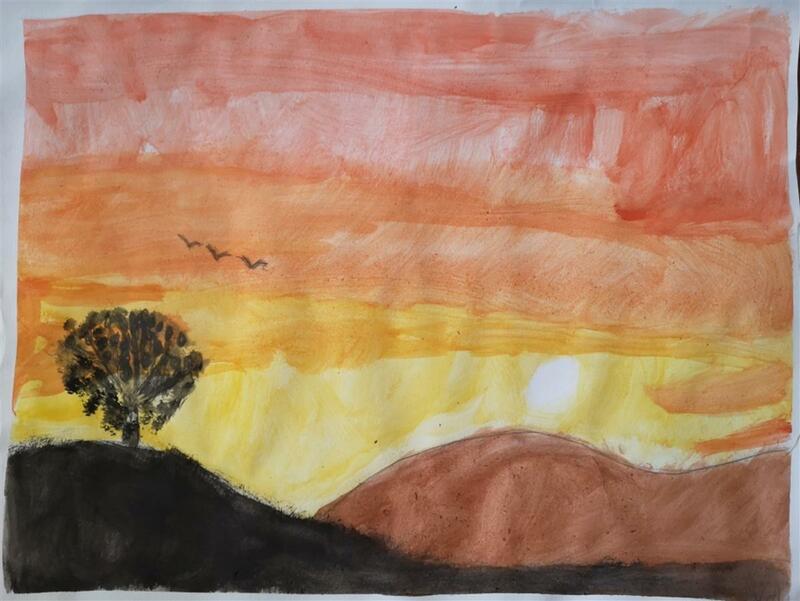 In contrast to the wintry water-colours created in Term 1, the boys in Class 6B experimented with a warmer palette of tones to create stunning sunsets to celebrate the lengthening evenings of Spring. Again, the atmospheric perspective technique was used, applying darker colours to the foreground of the painting. 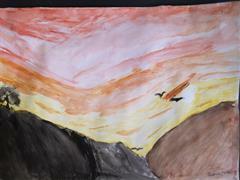 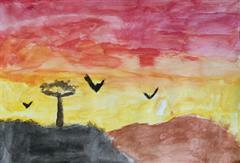 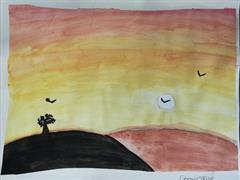 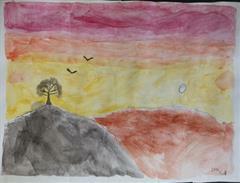 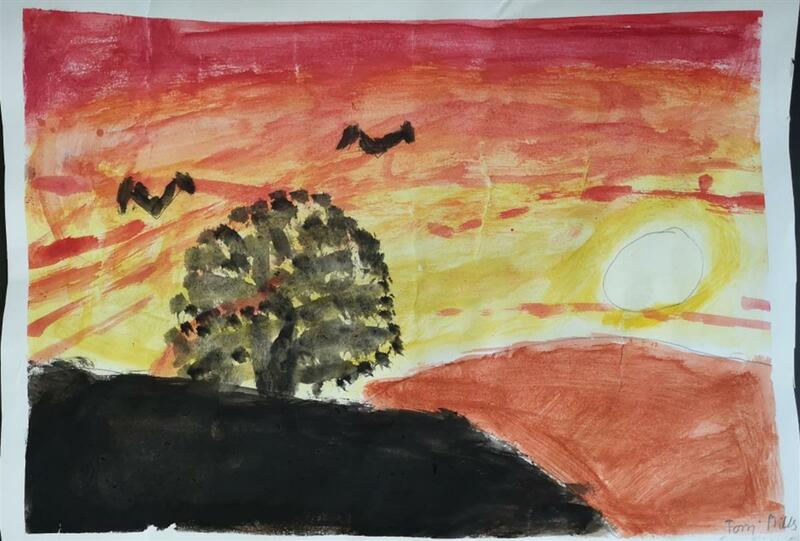 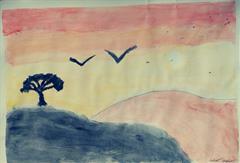 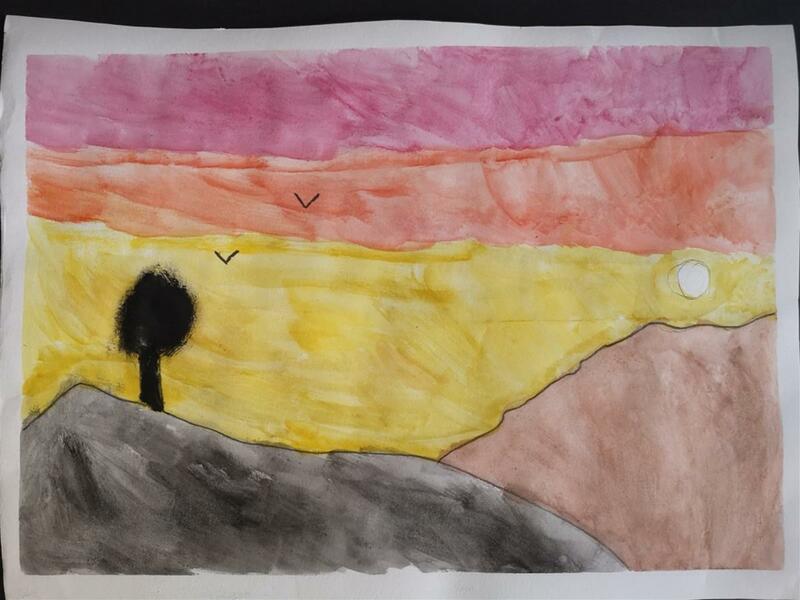 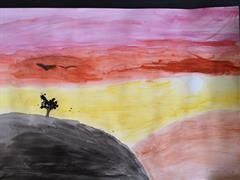 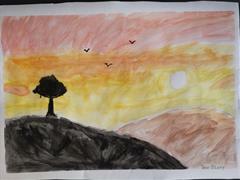 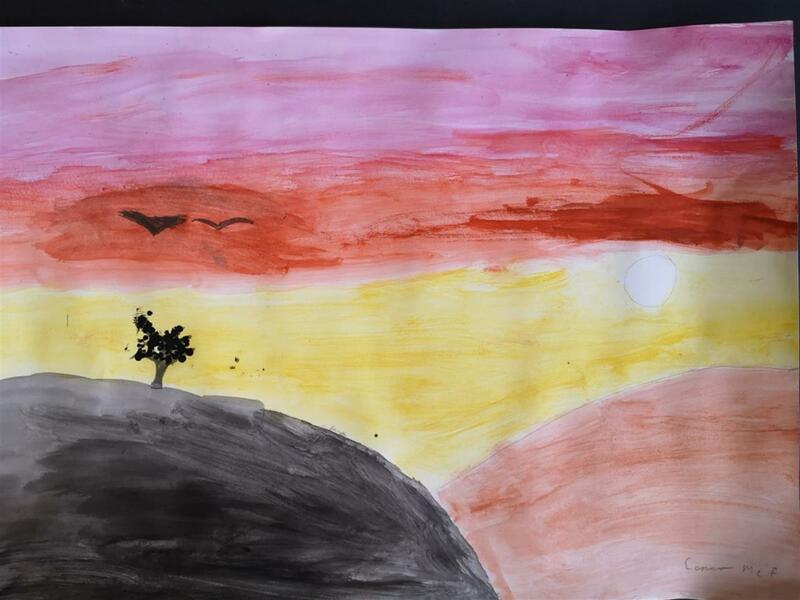 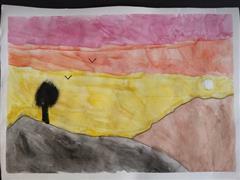 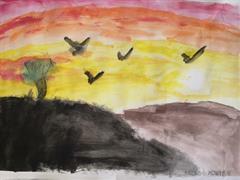 Experimenting with blending rich yellows, oranges and reds, the boys created vivid sky-scapes with birds and trees represented as silhouettes.